To develop an optimal prophylactic regimen among Chinese patients who accept transrectal prostate biopsy. We enrolled 420 patients who accepted transrectal prostate biopsy. They were randomly classified into three groups (n = 140 for each): Group A received a single 500-mg tablet of levofloxacin without enema; group B received a single 500-mg tablet of levofloxacin plus enema; group C received 3-day levofloxacin orally plus enema. Patients were assessed if they had a febrile urinary tract infection (FUTI). The incidence of FUTI was compared among groups. 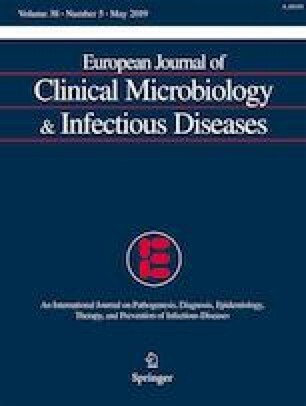 Subgroup analysis was performed between patients at high and low risk of infection in each group. There were 15 cases developed FUTI: 7 (5%), 6 (4.3%), and 2 (1.4%), respectively, in groups A, B, and C. Of the 15 patients who developed FUTI, Escherichia coli was detected in blood culture in two cases. Urine culture results were all negative. FUTI patients (73.3% (11/15)) had at least one high risk factor. Subgroup analysis showed that the incidence of FUTI in group A was significantly higher than that in group C among high-risk patients. There was no statistical difference between group A and group B among both high- and low-risk patients. A single 500-mg dose of levofloxacin without enema represents excellent prophylaxis for transrectal prostate biopsy in Chinese patients at low risk of infection. For those at high risk, 3-day levofloxacin prophylaxis is the optimal regimen. Prebiopsy enema provides no clinically significant outcome advantage and is unnecessary. This work was supported in part by Grant 2018A610297 from Ningbo Natural Science Fund and Grants LY18H050003 and LY17H050001 from the Zhejiang Natural Science Fund. Ethical approval was obtained from the Ningbo First Hospital Research Ethics Committee.